Among the treasures that can be found in China’s flea markets are hand-written books produced from the 1850s on. 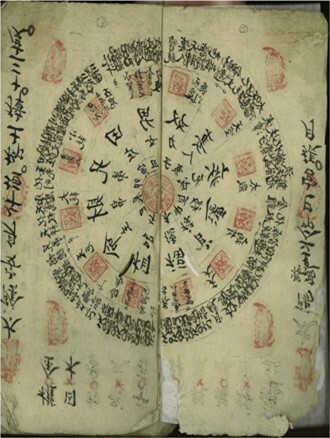 These were the notebooks and help-aids of the common people, who earned money as schoolteachers, fortune-tellers, legal advisors, writers of congratulatory couplets, etc. The old books have been discarded by the younger generation who see little value in them, but they reveal much about the lives of China’s people. This illustrated talk describes just such a treasure, purchased in Shanghai in January this year. You will see how a fortune-teller writing in 1902 was able to foretell the events that were to come. Ronald Suleski graduated with a PhD from the University of Michigan. He lived in Tokyo for many years, where he learned to use Japanese for daily and professional life. After living in Asia from 1980 to 1997, he was Assistant Director of the Fairbank Center for Chinese Studies at Harvard. In 1997 he moved to Suffolk University in Boston to be Professor of History and Director of the Rosenberg Institute for East Asian Research. Ron was President of the Asiatic Society of Japan, a “sister organization” to the RAS China, from 1987 to 1994. He feels a special affection for the idea of the Asiatic Society, and a deep respect for the people who gather regularly to think and talk about the Asia in which they live. Those unable to make the donation but wishing to attend may contact us for exemption prior to the RAS Weekender.